To avoid pergola guttering issues, you can install a reliable pergola guttering system for your home. 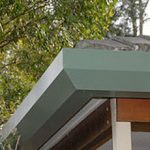 You can count on our Guttering Sydney products to provide the best pergola guttering solution available in Australia. Call us on 1800 897 444 to talk to our gutter experts! We’ll help you find the right guttering solution for your needs. 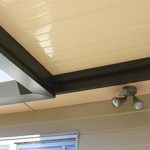 How can I prevent common pergola guttering problems? One of the most common problems with pergolas today is that they can cause overflow issues at the point of attachment to the house. Incorrect fall of conventional gutters can cause water damage to your house. Because of inefficient pergola systems, the water during heavy rainfall is directed to the gutter right over or next to your backdoor. Most pergola designs end up blocking the gutter when the roofing sheets are laid right over it. The thing is, gutters will end up full of leaves, dust and other debris over time. In areas that are susceptible to fires, a collection of broken down leaves and stems can pose serious dangers to you and your family. Mixed with rainwater and worse, bird droppings, cleaning becomes a stress-filled, headache-inducing task. If you fail to clean your gutters, water will definitely overflow and can cascade into the eaves. Looking for a trusted pergola gutter supplier? 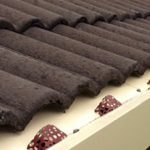 What good are pergola roof gutters if they leak rainwater? If you don’t fix leakage, water will damage your home, peeling paint, cracking ceiling fascias and rotting roof structures. Many homeowners discover that covered pergola areas are not guaranteed to be waterproof 100% all the time. How disappointing is it when you and your guests are forced to go indoors because of a heavy thunderstorm? Are leaking pergolas spoiling your outdoor entertainment area? If you have been searching for a low-maintenance solution to this particular guttering problem, the Easy Fall Guttering System is your best choice. Be it for wood, steel, vinyl, fiberglass or metal pergolas, our innovative product range addresses your every need. Paul Axford has been solving these pergola and awning issues for many years, living up to EASY FALL’s motto, “We solve problems that others can’t.” We have the experience to solve the wide range of gutter overflow issues that can occur between the pergola and the house, which affects your quality of outdoor living. The next time you build a pergola, you won’t ever have to worry about leaking ever again. For gutter supplies and leaf guards, you can rely on the Easy Fall Guttering. To consult our gutter experts and learn what type of guttering fits your needs, call 1800 897 444.